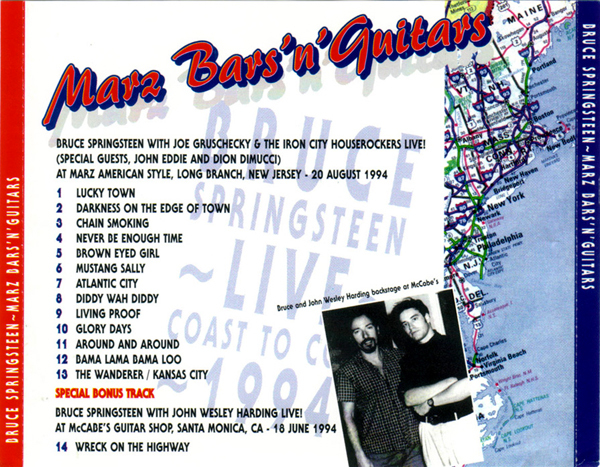 Bruce Springsteen together with Joe Gruschecky & The Iron City Houserockers played the below thirteen songs at Marz American Style on August the 20th 1994. This bootleg also contains a bonus track recorded in Santa Monica. Bruce Springsteen and The E-Street Band played in San Siro for the fifth time on June the 3rd 2013. At this link you can find the complete setlist of that night. Was anybody there? Any thought? Any memory you would like to share with us? 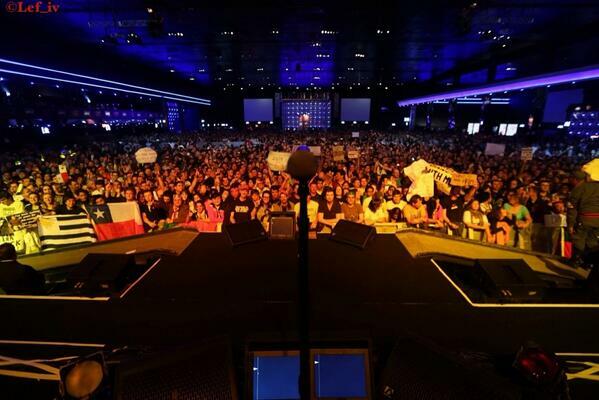 This is the second to last show of Wrecking Ball Tour for this year. 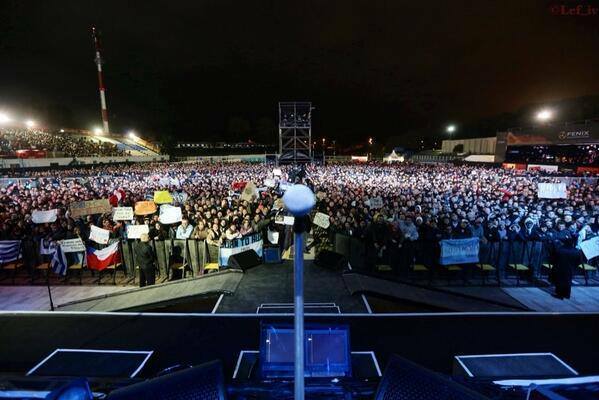 Bruce Springsteen and the E-Street Band played in Sao Paulo last night for more than three hours. Last night Bruce Springsteen and the E-Street Band played in Buenos Aires for the first time since Amnesty International Tour (October the 15th 1988). First time ever in Santiago for Bruce Springsteen and the E-Street Band. South American dates are the last Wrecking Ball Tour shows this year, the next show is schedule for February the 7th in Perth. Next show is schedule for September the 14th 2013. 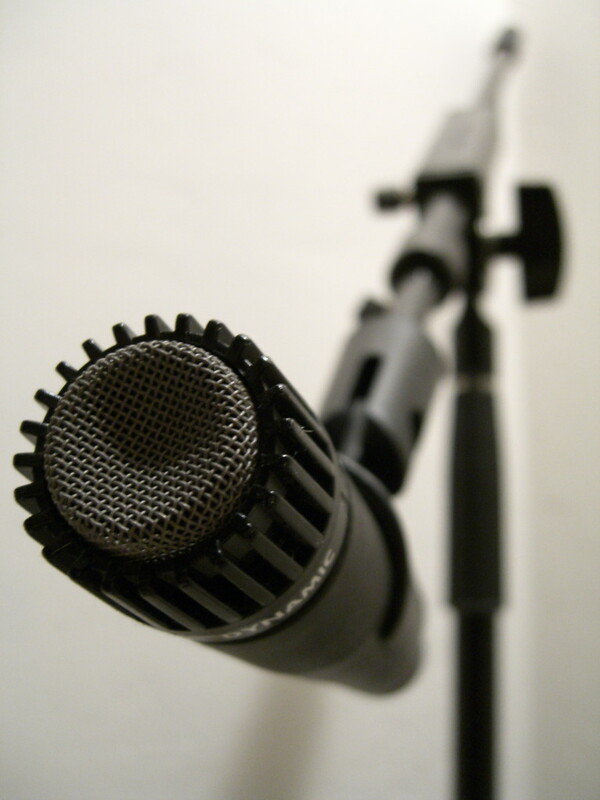 Did you already join my survey on new album? This was my first concert of the Wrecking Ball Tour (link to some photos). This DVD bootleg is recorded in HD quality and the average quality of the video is high. 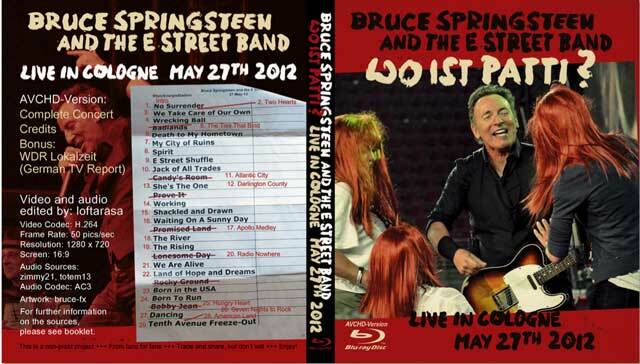 Bruce Springsteen and The E-Street Band played the following songs during this night in Cologne. I only used HD-sourced video material to preserve the best possible image quality. However, the quality varies notable, e.g. from iPhone-videos to high quality cams or steadily filmed to shakily filmed. Due to lack of videos, there are video gaps in the following songs: Death to My Hometown, Spirit in the Night, Jack of all Trades, The Rising and We Are Alive. These gaps were filled with pictures from the concert. No Surrender (first minute missing) and My City of Ruins (distortion for 1 minute in the middle of the song). Where appropriate I mixed totem13’s recording in. In case you wonder why I didn’t “fill” the complete DVD9, this is also due to my stupid software when it comes to authoring. The preview window always tells a wrong final size compared to what comes out at the end. For example the preview tells me that the project will be 7,8 GB of size but then it’s only 6,5 GB. When I set the bitrate higher so the preview says the final project will be 9,3 GB (so it becomes about 8 GB in the end), the layer break won’t work and thus there’ll be burning errors. As far as I know, the latest version of my editing software has this fixed, but spending 400 Euros to solve this is a bit too much for me right now. Thank you VERY MUCH to all the tapers who generously shared their original video files with me! And also to the audio tapers of course! dvddubbingguy, tobi and lars aka papa b‰r (lots of videos, quite perfectly filmed, amazing quality! ), *anonymous* (almost complete recording from the stands), dasbinichauch (lots of videos from the stands, very stable), devil59620 (many videos), fv45pfap (many videos, quite perfectly filmed), joe (help with collecting videos) and betterday for a great communication and motivation. After all, this was real fun to edit and leads you to just one possible conclusion: Nothing comes close to Bruce Springsteen. In case you plan to also film a bit during one of your future concerts, I highly recommend to buy a Sony Cybershot hx9v or subsequent models, and film with an EV-setting of -0,7 to -1,3. The best angles of this multicam video were recorded with a hx9v and (I’m not sure which one) hx10s or hx20s with EV set at 0 to -1,3. The EV-setting avoids “ghost” faces and the cam has got an Exmor R-sensor that avoids annoying “lines” in the video when you are recording against bright lights. Also, it has got a great zoom with steady shot function – and can record in full HD. The sound is also remarkably good for a pocket cam. Moreover, you can also take quite good pics with it. The latest Lumix from Panasonic might also be a great alternative, though I don’t have any experiences with it.